National Hunt devotees will be pleased as punch that it’s time for Market Rasen’s big summer jumping card already and Channel 4 screen its dual jewels among their Saturday offerings. 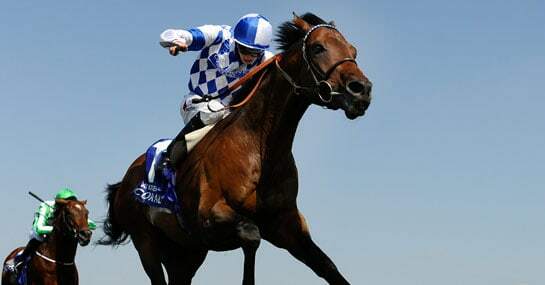 Even if the thought of picking a winner from amidst the glorious cavalry charges of the Summer Hurdle or the Summer Plate doesn’t tickle your fancy, Al Kazeem’s return in listed action is sure to. To this end last season’s all-conquering mile-and-a-quarter horse takes his rightful place among our three selections for the terrestrially-televised fare. Having returned to the racing sphere after proving subfertile at stud, Roger Charlton’s entire cheats a penalty despite having won not once, but three times at the top level last season. A course and distance handicap winner off a mark of 95 as a three-year-old, he’s officially rated 9lbs better than anything else in the field. With trainer Charlton boasting a 31 per cent strike rate in the last fortnight and suggesting the main man is “in great form” and “looks terrific”, fears over him being drastically undercooked on his return can be put to bed. Donald McCain’s timber convert has lost just once since embarking on a hurdling career last term, a twenty-length second to Splash Of Ginge on his debut over obstacles. Nigel Twiston-Davies’ improver ended the campaign rated 146 and the selection hasn’t looked back since, winning three on the bounce at this 2m1f trip, including over course and distance in June. He steps out of novice company for the first time here but, having strolled to victory the last twice by an aggregate 78 lengths, the son of Montjeu rates a fascinating contender. Between Peter Bowen and his eight-year-old, what isn’t known about winning at Market Rasen isn’t worth knowing. The Welshman has trained four of the last 11 winners and a further four placed horses during that period and his charge – who remains unbeaten in two attempts at the trip – has emerged victorious from six of his nine spins around the Lincolnshire circuit.